Oak Beach–Captree is a census-designated place (CDP) in the town of Babylon in Suffolk County, New York, United States. The population was 286 at the 2010 census. 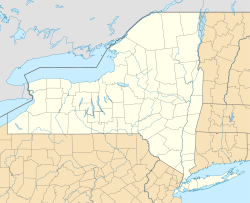 Prior to the 2010 census the area was part of a larger CDP called Gilgo-Oak Beach-Captree, New York. The Oak Beach–Captree CDP consists of some small beach communities on the barrier island along the southern edge of Long Island, including Oak Beach, Oak Island, and Captree Island. Oak Beach–Captree is located at 40°38′21″N 73°17′35″W﻿ / ﻿40.63917°N 73.29306°W﻿ / 40.63917; -73.29306. According to the United States Census Bureau, the CDP has a total area of 3.7 square miles (9.5 km2), of which 2.7 square miles (7.1 km2) is land and 0.93 square miles (2.4 km2), or 25.03%, is water. The census numbers are presumably for full-time inhabitants; many of these houses are second homes and not primary residences, although the proportion of seasonal residents is decreasing. The land for these communities is not privately owned, but leased from the State of New York through the year 2050. However, the residences on the property are owned. If the leases are not renewed at some point in the future, the owners will have to move the houses elsewhere, similar to what happened at High Hill Beach when Jones Beach State Park was created. ^ a b "Geographic Identifiers: 2010 Demographic Profile Data (G001): Oak Beach-Captree CDP, New York". U.S. Census Bureau, American Factfinder. Retrieved 2012-12-28. This page was last edited on 15 January 2018, at 03:33 (UTC).